There were four successive failed pizzerias at 481 Commerce Street in Hawthorne so it was perhaps a good omen when a sign popped up in the window in July announcing that a barbecue joint was to open there instead of another slice ship. Thus far, Three Little Pigs BBQ of Hawthorne has drawn ’cue fans for top-notch smoked wings and beef ribs, fatty-in-a-good-way five-spice pork belly, 16-hour pulled pork on soft potato rolls, homemade pickled veggies, silky baked beans, and other southern classics. A Cookshack smoker heated to between 190°F and 205°F pumps out 300 lbs of meat at (depending on the type) 12 to 18 hour cooking times. Diners may know Mazzarulli from Armonk’s Opus 465, which he closed in 2015 after 19 years, and Marc Charles Steakhouse, also in Armonk, which was in business for 8 years. 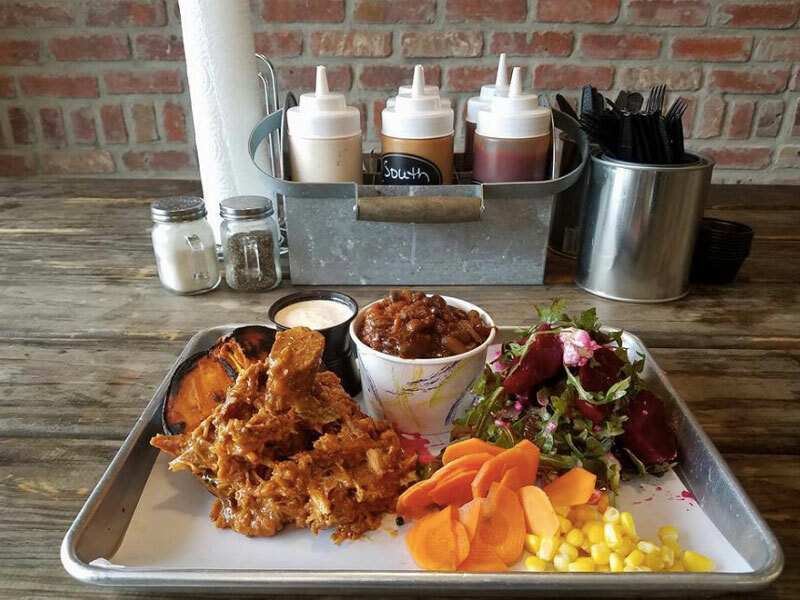 He’s been cooking barbecue since 2003 when Westchester Wild BBQ opened, an Armonk-based off-premise barbecue catering company. “The summers at Opus, especially July and August, slowed a great deal over the years as seemingly more and more people went away on vacation,” he explains. To keep his staff with enough hours and to stay busy he started catering barbecue meals for Fourth of July and Memorial Day parties, graduations, corporate gatherings, and weddings. Now county barbecue fans don’t have to wait for a holiday or special occasion to get a taste of his smoked meats, including brisket, rotisserie chicken, local sausage (bratwurst, chorizo), and a one-and-a-quarter-pound brontosaurus rib. Delivery is a significant part of the business, with orders taken from Valhalla, Thornwood, Armonk, Pleasantville, and of course Hawthorne.